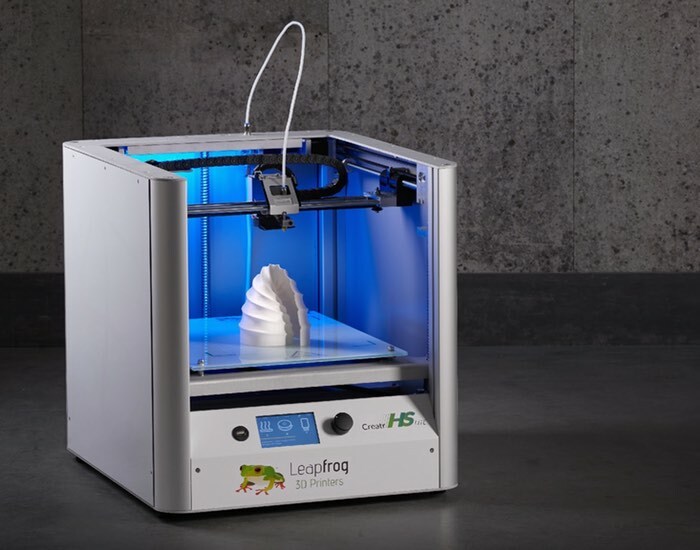 Leapfrog the Dutch 3D printing company has this week unveiled a new addition to their range of 3D printers with the launch of the Creatr HS Lite desktop 3D printer. The Creatr HS Lite is capable of printing in volumes up to 13.6 litres and is capable of creating objects that measure 28 cm in length. Watch the video below to see it in action. Leapfrog explains that the new Creatr HS Lite is capable of being used as a stand-alone printer and does not need to be connected to a computer. Simply using a USB stick loaded with your print designs and a simple twisting controller to view the menus that are displayed on a 4 inch full colour LCD screen. HS stands for High Speed. With a print speed up to 300mm/s the Creatr HS will get you your prints extremely fast, without losing accuracy and quality. Use of light material minimizes the weight of the extruder carriage, enabling rapid prototyping and quick results for customers. The Creatr HS has the largest build volume in its class, with an astonishing volume of 13.6L and the possibility to print objects up to 28cm of length. The big building volume gives you freedom to design, make up-to-scale prototypes and other endless printing possibilities. A whole lot of centimeters fit into our printers, so splitting up your model in multiple parts and reassemble it afterwards, has come to an end. If you can design it, you can build it. The complete structure of the Creatr HS is made out of standard industrial grade aluminum parts and therefore built to last. The accuracy of the printer is unaffected by temperature changes and does not diminish over time. The Creatr HS Lite is now available to purchase just over €3,000 and more information and specifications are available directly from the Leapfrog website via the link below.